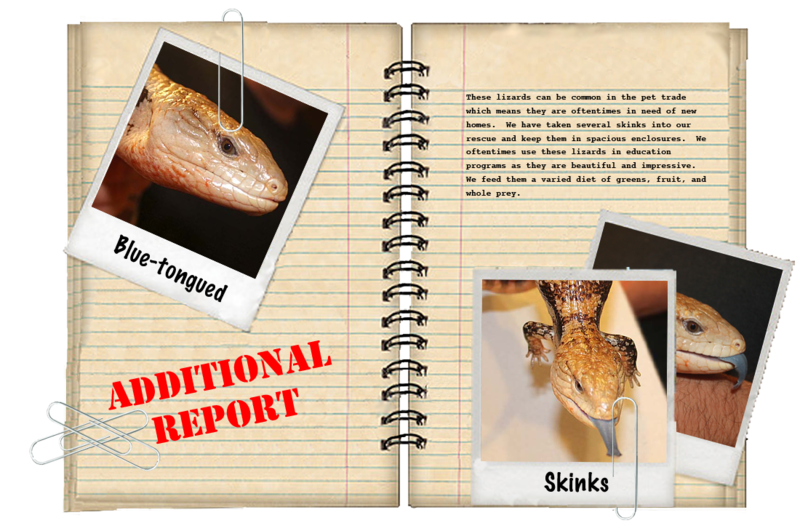 This blue-tongued skink came to us in early 2013 from an individual who no longer wanted him. 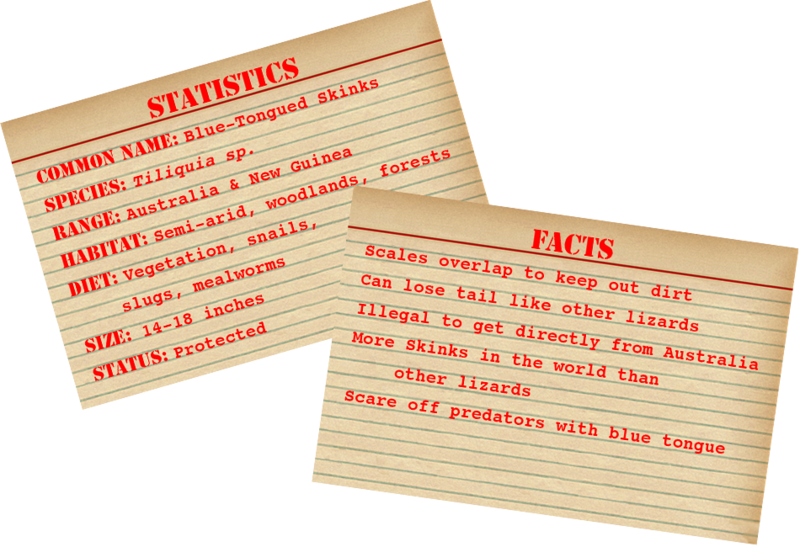 He is a full grown adult and measures at least 12 inches in length. 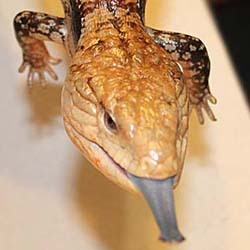 His remarkable blue tongue makes him a popular and impressive animal at outreach events.